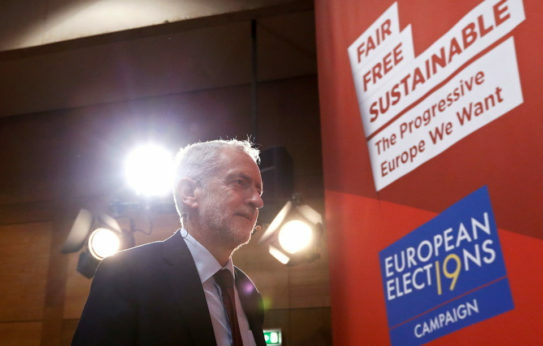 British Labour Party leader Jeremy Corbyn told some uncomfortable truths to Europe’s social democratic parties in Lisbon last Friday. So far, so good. Even the “free market” fanatics of the European Commission might happily pay lip service to that. Some of the delegates from the social democratic and “socialist” parties of Germany, France, Italy, Greece, Cyprus, Ireland, Denmark, Sweden, and the Netherlands should have squirmed at that point. Over recent decades, to a greater or lesser degree, they have all embraced neoliberal policies of public spending cuts, marketization, privatization, labor flexibility, higher taxes for the working class, and lower taxes for the rich and big business. 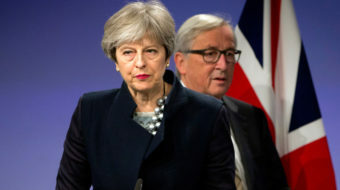 They have doggedly upheld the European Union and its treaties which enshrine the EU’s commitment to a capitalist market economy, the free movement of capital and super-exploited labor, monetarism, militarization, and alignment with NATO. And they have all been severely punished by millions of working-class electors who have either turned in fear or anger to what Corbyn called the “fake populists of the far right,” or moved to the left, or stopped voting altogether. Last year, the German SPD saw its share of the poll in parliamentary elections fall to an all-time low of 21 percent. Since breaking a solemn manifesto pledge not to continue in coalition with Angela Merkel’s Christian Democrats, the SPD vote has been further cut in state elections this year by half to 10 percent in Bavaria and by one-third to 21 percent in Hesse. The biggest winners in recent German elections are the far right, the nationalist Alternative for Germany, and the unprincipled Greens. In France, electoral support for the misnamed Socialist Party has been downsized by its defecting spawn to the right and the left, namely, President Macron and Jean-Luc Mélenchon. Four-fifths of the party’s voters abandoned it in last year’s National Assembly elections and again in the first round of the presidentials this April. The Democratic Party in Italy has been loyally pro-EU and pro-austerity, losing almost half of its popular vote since the 2008 crash as a result. The country is now governed by a Eurosceptic coalition of the far-right Northern League and Forza Italia parties and the eclectic Five Star Movement. Backed by the financial markets, the EU Commission and the European Central Bank are demanding that the coalition drop its plans for a deficit budget that will benefit the unemployed and the elderly. In Greece, Netherlands, Cyprus, and the Czech Republic, the social democratic parties’ percentage share of the poll has been slashed to single digits. Austria, Sweden, Denmark, and, to a lesser extent, Spain are among the few EU member states where the traditional social democratic parties retain substantial mass support. In Portugal, the Socialists are in government thanks to support from the anti-EU Communist Party and the increasingly Eurosceptic Left Bloc. Indeed, Corbyn made a point in his Lisbon speech of congratulating all the parties of the Portuguese left on their unity. 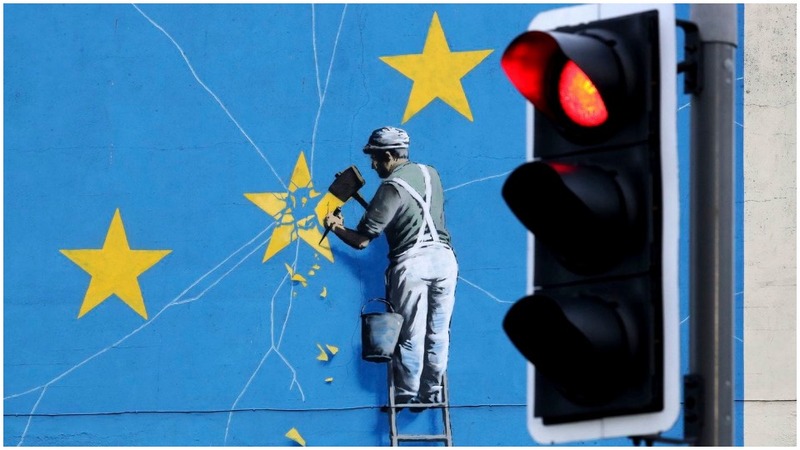 That’s a different picture to the one painted by so many EU enthusiasts in Britain: that we are home to 17.4 million undereducated, racist simpletons who follow like children or rats behind Pied Pipers Boris Johnson, Michael Gove, and Nigel Farage. Although Corbyn repeated his view that Labour must now respect the majority decision to leave the EU, that “Remain and Reform” perspective is being revived in some labor movement circles. It raises profound questions of practicality and strategy, as well as democracy. Firstly, what agreement could be reached about the reforms to be pursued? Should the two basic EU treaties be rewritten to end the primacy of the so-called “competitive free market,” or to limit the free movement of capital and labor? What about the corporate right of establishment, which the EU Court of Justice has used to negate the rights of workers, trade unions, and elected governments? Should the EU ban, in effect, on “people’s quantitative easing” be abolished? How can the extraordinary powers of the EU Commission be devolved to member states, or democratized without handing them to a European Parliament which has no real organic link with its 396-million-strong electorate, with one MEP per half a million electors? What about the unaccountable powers of the European Central Bank and the absurdity of a one-size-fits-all euro? Should the monetarist restrictions on member state borrowing and debt be relaxed or abolished? What should be done about VAT? Assuming agreement on a reform program, who will fight for it against the entrenched opposition of the mainstream right-wing parties, employers’ organizations, and senior state apparatchiks across most of the EU? The enfeebled, vacillating, and mostly pro-big business social-democratic parties of Europe? The Green parties, most of which dump their anti-market, anti-monopoly, anti-militarist policies at the first whiff of government office? The anti-EU or Eurosceptic left in the Communist parties and formations such as the Left Bloc (Portugal), Podemos (Spain), Die Linke (Germany), the Swedish Left Party, the Danish Red-Green Alliance, and Mélenchon’s movement? These either regard the EU—with good reason—as unreformable or they are not strong enough to win general elections. Reforming the EU on the scale required to turn it away from today’s “Big Business Europe” towards tomorrow’s “People’s Europe” would necessitate the election and re-election of left, reforming governments in most of the major member states and many of the minor ones within the same timeframe. That is a far more remote prospect than electing a left-led Labour government here in Britain. Winning such a government requires a general election. Securing the freedom for such a government to implement policies of public investment, public ownership, economic and environmental planning, progressive taxation, and full workers’ and trade union rights requires a People’s Brexit from the EU and its single market and customs union rules. Make no mistake, a second referendum to keep Britain in the EU is intended by its political and financial backers to abort any such breakthrough. 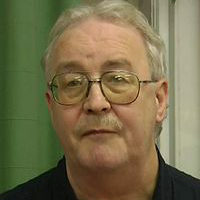 Robert Griffiths is general secretary of the Communist Party of Britain, "fighting for peace and socialism since 1920." He has also previously served as Welsh president of the AUEW-TASS union (Amalgamated Union of Engineering Workers).